BigTuna wrote: In Luongo's prime, he could not help that franchise. He played terrific, and still no playoff games. But he put butts in seats and stole games for them. ... and into the playoffs (hopefully at the expense of the Leaves). No one cares about Luongo in South Florida. He may have stolen games, but they were still bottom feeders. Mondi wrote: I'm not talking about the preseason, or drawing any inferences therefrom. I'm talking about a consistent history of CS outplaying RL. And how nothing has changed. Screw the preseason for all I care. The question I posed was whether anyone would prefer Luongo's start to Cory's. Such as the playoffs last year? Speaking of slow starts, it took less than one game last season for Lou to take away the starting goaltender spot. I just checked the stats at NHL.com. Among starters with 6+ starts, Luongo is presently SECOND IN SV% AND WINS!! Strangelove wrote: I just checked the stats at NHL.com. Okay, Pavelec and Smith just passed him in SV% but it was fun well it lasted. Lies, damn lies, & statistics. ...and then there's Corsi and Fenwick. ClamRussel wrote: I have it from a good source that early last season Luongo nixed a deal to Philadelphia that also included Ballard. Both sides believed it was a done deal not unlike Boston w/ Iginla. Perhaps there is something that can be done w/ Buffalo for Miller. 2 premiere goalies who need new addresses. 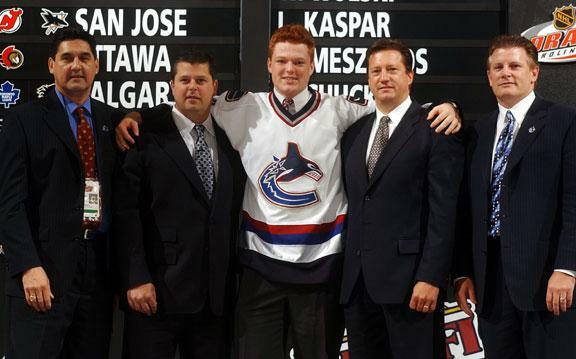 As per the comments on twitter, only one man stands, duh, proudly here as a Canucks in the here and now. Delorme remains as the team’s Chief Amateur Scout, but [Eric] Crawford’s title is now Director of Player Personnel and will have final say on who the Canucks draft. Contrary to the article, I do believe, I do believe, that the GM has the final say. Betamax wrote: Contrary to the article, I do believe, I do believe, that the GM has the final say. Delorme is still the first person listed with Crawford listed after all the amateur scouts. From my perspective that implies he may be responsible for the professional scouts. 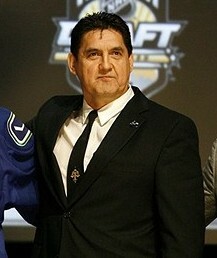 Crawford, who had overseen the Canucks’ pro scouting department, was put in charge of amateur scouting. Chief scout Ron Delorme retained his title but was returned to the WHL because, as assistant general manager Laurence Gilman explained, the team needed its best scout back in the West. WHL scout Harold Snepsts was redeployed to help senior adviser Stan Smyl assess undrafted college and junior players, and the Canucks bulked up their scouting staff in Ontario. I guess we can speculate that the fruits of the redeployment of Delorme is that we have not seen one but two WHL prospects being drafted in the 1st round by the Canucks in back to back years. You know that article was from June 29th 2013 right?